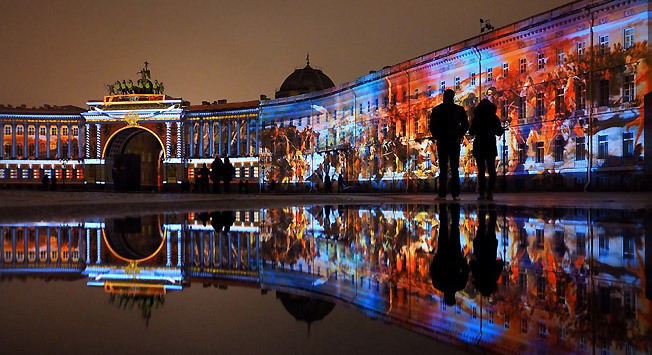 St. Petersburg boasts Russia's largest selection of museums and the country's deepest reservoir of cultural heritage. RBTH has selected the top museums in Russia’s Northern capital that can be equally fascinating to both adults and children. Unlike many of the most important museums in the world, the 18th century Hermitage was built not simply as a palace to store art, but as an imperial residence. This is why visitors are treated to this gigantic collection of world art from the Stone Age to the late 20th century in luxurious and authentic interiors in styles ranging from Baroque to Empirical that change only according to the epoch in which the rooms were designed. Here furniture, tapestries, textiles, dinner-sets, tea-sets and works of art from all over the world can be found everywhere: In dining rooms, bedrooms, throne rooms and ballrooms, and, of course, in the numerous and spacious galleries. Among the popular exhibits of the museum are the large collection of Scythian gold, the Madonna paintings by Leonardo and Raphael, the collection of works by Titian, Rubens, Rembrandt, Poussin, the French Impressionists and Modernists. On par with the Tretyakov Gallery in Moscow, this is the most important collection of Russian art. It features works ranging from medieval icon painting, including the legendary Andrei Rublev, to the canvasses of contemporary painters. The museum’s main exhibition features extremely rich collections of classical paintings of the 18th and 19th centuries from Karl Bryullov and Alexander Ivanov to Mikhail Vrubel and Nikolai Roerich. It also houses a great selection of works from the Russian avant-garde with pieces by Malevich, Kandinsky and many others. This collection is located in the Mikhailovsky Palace, a monument of architecture from the epoch of Classicism. The museum complex also includes some other St. Petersburg palaces and the “Letny Sad” (Summer Garden), laid out by the order of Peter the Great. One of the most notable palaces in the early classical style, it was designed by Italian architect Antonio Rinaldi in 1768-85. Catherine the Great had it built for her lover, Count Grigory Orlov. Today this is a branch of the Russian Museum. Here, in particular, there is a “museum within the museum”: one of the exhibitions is made up of the works given by the renowned German collectors Peter and Irene Ludwig. That’s what it’s called – “The Ludwig Museum in the Russian Museum” – and it includes works by 20th century masters such as Andy Warhol, Cy Twombly, Joseph Beuys and Jeff Koons. The largest museum of anthropology and ethnography in the world was established by Peter the Great, who was a passionate collector of oddities for his “cabinet of curiosities.” Today the museum’s collection features rarities from various cultures and all continents including ancient Chinese porcelain and medieval Indian weapons to North American Indians’ ritual objects. Yet, the most famous exhibition is probably the anatomy section. This exhibit includes Siamese twins, as well as cases of sirenomelia (the so-called “mermaid syndrome”), collected as early as the 18th century by the Dutch anatomist Frederik Ruysch. This is the main complex of the various branches of St. Petersburg’s history museums. The fortress was built on Zayachy Island in 1703 by order of Peter the Great, although it was later used mostly as a prison. It was here that the tradition emerged in the 1730s to fire a shot from the cannon every day at noon. This tradition remains today. Among the gems of this architectural complex are the Peter and Paul Cathedral designed by Domenico Trezzini, with the tombs of Russian emperors, and Peter I’s boathouse, where the first ship of the Russian fleet was built. This private museum was established using the collection that Russian billionaire Viktor Vekselberg bought in 2004 from Malcolm Forbes’ heirs. This collection is precious in all possible senses and gathers many of the great works of jeweler Carl Fabergé. As part of the deal, the museum received several unique objects from the legendary Fabergé House including nine imperial Easter eggs, masterpieces of decorative art that had been especially designed for the Russian tsars. The museum building itself is worthy of attention: It is located in the Shuvalov Palace, a brilliant example of architectural eclecticism of the first half of the 19th century. This is the private museum of businessman and art patron Aslan Chekhoev and is devoted to 20th and 21st century Russian art. Its large collection of non-conformists, conceptualists and contemporary artists from Dmitry Krasnopevtsev and Francisco Infante to AES+F and Pavel Pepperstein does not keep a regular schedule, as they prefer to set up thematic and monographic exhibitions. There are up to six exhibitions each year in this two-story chamber space. The collection hosted by this large private museum concentrates on Russian artists from postwar years to the present. Its exhibitions focus on figurative painting, although the collection also includes video art, photography, installations and sculpture. Apart from exhibitions, the museum organizes concerts and performances and is even involved in the production of art projects. It is thanks to this museum that Dmitry Shorin’s sculptures of female aviators appeared in St. Petersburg’s Pulkovo Airport.